Before we begin, let me just say that this podcast is dedicated to Infinitely Patient Yarn Shop Owners, everywhere. Okay? Are we all clear on that? Now, at least once in every podcast I manage to dig myself a nice hole, and then humiliate myself in front of many listeners while I attempt to climb my way out of it. See if you can spot where that happens this time. 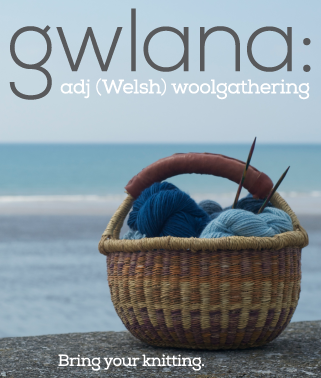 More fun as I wrestle with my feelings of inadequecy after seeing the shawl that Ted is knitting, and then try to make myself feel better by opening a package of yarn storage goodness from Lakeland – Talk technical to me, baby! Podcasting software secrets revealed. â€“ Librivox! A very worthy project – Introducing Edith Wharton, personal friend of mine â€“ Vikings could knit? Who knew! – *Vote! – The finest whiskey in all of Scotland, if not the world. â€“ As always, Todayâ€™s Sweater and fab music. * To vote at Podcast Alley: Enter the search term (ie: “knitting”, or “crafts”), click podcast name, click “vote”, follow directions in pop-up window. I love your show! Here in rural British Columbia, I feel isolated from the real world of yarn and knitting. Tell me more about your podcast, your knitting, what it looks like outside your window. I would love to invite you for coffee and a chat! Cast On, the perfect complement to KnitCast, is intelligent programming as we’re used to on our CBC. Many thanks, Angie, Sardis, B.C. Quite simply, your essay, Pulling a Geographic, is profound and heartbreakingly honest. Thank you. Also, thank you so much for the wonderful things you introduce us to each week. I’m going to have to dedicate some time this weekend to exploring what other songs Adrina Thorpe has to offer, as well as perhaps downloading gobs of book chapters from Librivox. It’s so nice to knit while people tell me wonderful, interesting things. Whether it be public radio, a podcast or an audiobook, life doesn’t get much better than knitting beautiful things while listening to beautiful things. I’ve just caught up by listening to your last 3 podcasts. So wonderful to listen to you as I sit here and reconcile my accounts (year end and payroll taxes – yawn) I’d rather listening while knitting, but not tonight. Your essay was so touching, thank you for sharing a part of your life’s story. LOVE LOVE LOVE the Addi Turbo sound. You’re right — it’s perfect. Also wanted to say that I’ve been listening to your podcast from the start (caught your promo on the Shropshire podcast back in Oct.), and it’s become my absolute favorite. Glad to hear you’ll be doing it weekly! I love this podcast, but I am also really looking forward to hearing you read Age of Innocence by Edith Wharton. I really enjoy her writing and that is one of my favorite books. We must have similar tastes in literature too. I actually did my undergraduate thesis on some of Jane Austen’s novels (Emma, Mansfield Park, and Northanger Abbey). Brenda, I enjoy your show very much (though, to be honest, I just skip over the music). 1) Dave Winer created podcasting when he created RSS and tested it using via including a Grateful Dead song in a post on his blog Scripting News. 1b) Adam Curry, an early adopter of podcasting, coined the term. 3) Because the truly beautiful thing about podcasting is that it is available for listening on the user’s timetable, and not the creators (which is what makes it so different from radio and television: I can download “Pulling a Geographic” today and listen to it tomorrow or next month, or I can download it next month and listen to it in June… or whatever, as fits my personal schedule). This timeless nature of podcasting (many podcasters do not mention dates within their podcasts or date the files to philosophically maintain this timelessness) means that a listener who is listening to your Sweater story and then wants to see the photo might be listening to the episode at a time not defined by you. If you limit how long the image is available on your website, you are cutting a large portion of your audience out of part of the experience of your show. I’m sure you don’t think that those of us who listen to this show on a timetable other than your own are less worthy of seeing those images than those who do listen on your prescribed timetable, so perhaps, as was suggested by another listener, you should explore other options for hosting images that will not impact your personal bandwidth charges (flickr?). I’m sure you mentioned some web experience in your essay, so why are the images so huge in the first place? That’s an obvious first step in promoting lower bandwidth usage. So, while I am enjoying your show, I can see where some decisions might alienate or frustrate people. PS, amongst the ruins of Viking ships recovered around the coast of England, Scotland and Ireland have been discovered knitting needles of beautiful design. I believe they were carved of reindeer antler. Your show is so great every week. The essay this week just pulled at my heartstrings, but it is so true. I have family that live far away also and I felt like I could totally identify with some of the things you described. But the essay with the music and your stories, everything is just a delight. And I also love the addi turbo sound! It’s so appropriate, I always thought addi turbo sounded more like a car part than knitting needles! Thanks for sharing and keep up the great show! I have thus far really enjoyed your podcasts – great music, fun topics and I always look forward to your sweater of the day. I was, however, a little unhappy about your comments relating to Texas and the seeming inconguity of the band “Murder the Stout”. You might not have realized that Texas has a fairly large Irish/Scottish contingent – large enough that we have festivals celebrating said heritage more than once a year, and we have a number of talented Irish bands local to the Dallas/Ft. Worth area. Despite what certain bad 80s melodramas would imply, we don’t all live on ranches, have a gazillion dollars, ride horses or get into mudfights with Morgan Fairchild. How funny that a band from Texas should make your show – that’s cool. Go Texas! The Addi Turbo Sound sounds a lot like a light saber. Anyway, thanks for being entertaining. Aside from taking umbrage at your Texas comment, I generally enjoy your show. The “golf tee” topped needles are Lantern Moon, not Brittany. Those don’t even come smaller than US Size 5, much less in 8-inch. Perhaps that’s what confused your other friends and relations. I am delighted that you are delighted, and promise not to do it again. Very quickly your show has become a part of my life. I look forward to new episodes and “prepare my area” for listening. Cast-on is synched into my iPod, which is plugged into the creature speakers, I pull out the wool I will spin while listening to you. Next I get something to drink and make sure the wheel is the right angle to the chair and the light, and the dogs are settled with something quiet to play with. Finally I put a pad of paper near my parnter who plays computer games and listens to you with me – so I can say “Write that down!” when you tell us about something on-line or in another pod cast. It is my favorite part of the week, and I’m glad I can look forward to it being weekly. Thank you very much for sharing your creation. As always, I enjoyed your show, especially the Addi Turbo part. I also love them (even for lace), and I listend to your show while commuting and knitting whith aluminium needles – I’ll go straight away in lunch break to buy some Addis! I also love labels. But I have my own ones. In Germany, there are at least two online shops, where you can order your very own labels at a really reasonable price. (I dond’t know about the english speaking part of the world, because I am Swiss and german speaking). One of them is Dortex (www.dortex.de). Your essay struck a chord with me. My elder son is 20 miles, my daughter 200 miles, my younger son at home. They have, like me, gypsy feet so we all move around where we need to at an one time. My kids have been at boarding school and staying with Grandma at times when I’ve relocated. Sometimes we’ve just done it together! However nothing broke my heart like last new year (yes just a few days ago) when I knew that my elder son was sitting alone because his girlfriend had finished the relationship the previous day and he couldn’t even face travelling to me. I was alone as younger so was partying and my fiancee was working a 12 hour shift producing card for the inside core of toilet rolls! I knitted, and cried for my son, so near, yet so far. And I couldn’t do anything to soothe him. My great granny said “when chidren are young the ache your arms, when they’re older the ache your heart” How true. Thanks Brenda for allowing us all to feel. THANK YOU! For your podcast, for your sweaters, for sharing your personal life with us. I don’t usually listen while knitting, but when commuting and unable to knit (that way I feel connected to knitting even while I can’t do it). I also want to thank you for your music. You’re introducing musicians that I might not hear of otherwise. Absolutely LOVED Ginny Clee! I just went to ITunes and got her album (parental advisory and all). And the Librovox. Great idea. Can’t wait to hear Edith Wharton. Anyhoo, keep up the good work, so glad to know you’ll be coming through my IPod weekly. Hope you’ll feel like podcasting for some time to come. Oooooo, LibriVox! Thanks for introducing it to us. There seem to be several different kinds out there. Thanks so much for doing this show. I enjoy it muchly. I’m so glad I found your podcast. It’s taken me awhile to get all the episodes downloaded (being on an ancient dialup connection.) But it was worth the wait. I love to sit and knit while listening to your show. None of my friends knit so I really love the knitting podcasts (and blogs) to get at least some interaction with others who share my passion for the craft. I’m a fan of Garrison Keillor’s Prarie Home Companion and hope it won’t offend you to say you’re podcast is like the much hipper, knitterly cousin. I really like that you throw some music into the mix. Keep up the great work and thanks for podcasting about knitting! I have another comment: My today’s sweater is made of Kureyon, and this is a single-ply yarn. This makes the color change easier, I guess ;-). Why not give navajo plying a try? If you want to be able to store images for free you should check out Flickr.com. Flickr does free image storage, with no charge for bandwidth. You can see my flickr page here. I put a comment here yesterday. I could have sworn I saw it! Did you delete it? Did it offend you? Or did the server burp? Or am I dreaming? I have been holding out on listening to you podcast until I had 24 hours on the road over the past weekend. I have to say that it is fantastic!! I really enjoyed it! I knit and listened and knit and listened!! Thank you for making the boring drive much easier! !Please keep up the excellent work!! Thanks, listened to #6 today on my walk and really enjoyed it. Any chance we can hear 1-3 again? I-Tunes doesn’t have it. One of the ladies in my local guild knit the Princess Shawl last year. It’s gorgeous. Check out a picture on the QSWD Website at http://homepage.powerup.com.au/~qswdg/gallery/FF05-PC24.jpg. She won best of show at the Brisbane Exhibition Wool Pavillion. I’m really enjoying your podcasts, and have been happily knitting while imagining the sweaters of the week. I found your essay this episode interesting, troubling, thought provoking–which for me means that I liked it! One concern that I had was that for some reason, this episode had some sort of feedbacky quality to the sound. Maybe it was my iPod, but all of the other episodes habe been great…I’m not sure what to make of this, but thought you might want to know. Could it be something off-kilter on your end? Anyway, can’t wait for the next one. I have listened to your last 3 podcasts and really enjoyed listening to your story about Christmas (it is like everyone’s family!) and your knitting thoughts. Keep it up! I am now a subscriber. as a parent currently pulling a geographic of my own, I found your essay very moving. I must admit that I have listened to 12 or more podcasts in the past 2 days, and turned my husband on to Chub Creek (at least I got a lot of knitting done) Thank you for the energy you have put into your show, now I have another reason to look forward to saturdays! Have you ever been to a Lakeland Limited store? They’re all ace, but the original one at Windermere is superb! It’s nearly as good as a trip to a very good yarn store! I love listening to your Podcast. I really need to see a picture of the 4 rib sweater you discussed in Episode 6. You should post pictures of the items you’re talking about here on your site. Absolutely love the podcasts. May I recommend Aero circulars or Inox grays for laceweight? I love my Addis for a lot of things (even though mine don’t have that cool sound effect). But I find them too slippery and too dull-pointed for lace. The Aeros (I had to order them from Canada but it was worth it) are not too slippery, have pointier points, and don’t have that gap at the join as bamboos do. Finally got to listen to the full version. I think I was missing the last 20 minutes or so. I felt your pain when you read the essay. I have three kids and it is so difficult to be away from them for any length of time. I get antsy if I haven’t heard their voices or seen their faces for more than a day. It takes only a short time to lose their confidence and even longer for them to rebuild it. As long as they know you are happy and love them, then they will accept what they can’t change and will love you no matter what. You are after all their mother. We are a funny bunch mothers. We want the best for our kids and feel guilt ridden when we can’t acheive it. Sometimes we just have to say “I’M ME!”, not someone’s mother/wife/partner and accept it. It is hard, but also so very, very, satisfying. Once you learn to do that, you learn to become you again and stop searching for something that was there all the time, it just gets lost in the process of raising a family. Just starting to listen and loving it! I’m a fellow scotch whiskey appreciating woman, and look forward to trying Bruich Laddich. Have you ever tried Lagavulin? It’s my favorite so far. I’ve listened to all currently available episodes ( halloween,1-100 ) twice over and love your podcast. This one really interests me though, as one of the Universities in Europe that I’ve looked at going to as an international student ( from Pocatello, Idaho ) is Aberystwyth University in Wales. Moving to the English speaking areas in Europe has been a life long thing for me, and I know when the time comes for me to go to school there, I still won’t be prepared. I want to live there, so I figured getting my higher education there would be a good idea and a good way to mesh with the culture. It will be a year from now, but I need all the help I can get. 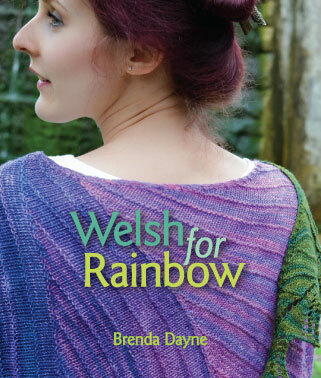 Like best available yarn shops? Doesn’t sound like there’s much choice there. And other cultural things that you’ve found in your time there. Also there’s the issue of deciding what to bring and what to leave behind. Don’t know how you did it. Like you said, the yarn stash and finished clothing alone was hard to decide. I’m not going to have the visa issue you did for now because I’m going on a student visa, so that’s okay. But it might help that I’m just going to be around alot of college students my age, but I still have to deal with the outside world :). Not that it’s scary or anything, I mostly just don’t want to offend anyone. I just figured it would be nice to talk a little with someone who has made this type of a move, and maybe have a little yarn and cultural help when I get there. Really love your show, and hope you’re enjoying Europe.